Hello everyone, My name is Kaity Jenkins, I am an 8th grade student at Beveridge Magnet Middle School, I proudly stand as a member of the National Junior Honors Society, Student Council, Special Friends Club, and I am also involved in many sports. 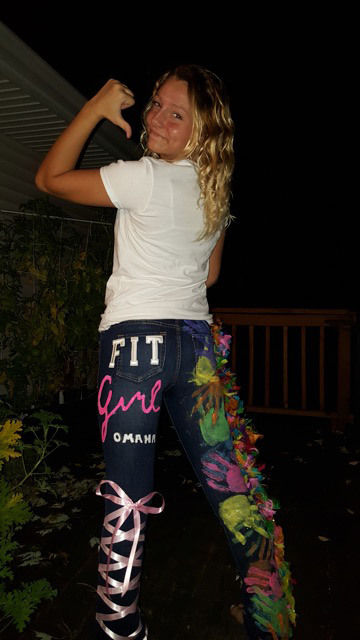 I am a “FITGirl Ambassador” as well! I am involved in many extracurricular actives as you can see, you might say I’m really busy but I always have time for helping around in my community, spending time with family and friends, and doing mission work for my church and with my family. One of my goals right now is Participating in pageants, and no ladies I’m not talking about beauty pageants. I’m talking about pageants that encourage girls to stand in front of a crowd of 1,000 people, to be confident in whatever shape or size you are, how you look or even your inner personality. These are pageants that praise community service, leadership, kindness, and even school achievements. This is why I wanted to be a part of FITGirl, it teaches girls to love who they are, stand up for themselves, and to just have fun and meet new friends and longtime friendships. Come join in on the fun, can’t wait to see you, I am Kaity Jenkins your FITGirl Ambassador. Cheri Dickmeyer: cheri@ctmomaha.com or call 402-522-6330.